I Hope/pray you are having a good week. Praise the Lord for the 3 that got baptized on Sunday! 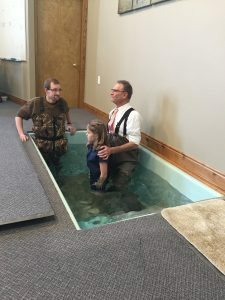 The two who were baptized Sunday morning were an encouragement and helped up the courage of the other one to get baptized Sunday night. That’s how it works a lot of times; someone obeys the Lord in this or that and that encourages others to do likewise. Next up, someone will join the church, start being a faithful witness, come to prayer meetings, etc and then some other believer will “follow suit.” There’s that ‘influence” again; Romans 14:7 For none of us liveth to himself, and no man dieth to himself.